The Detroit Flyhouse presented the Celestial Bodies Student/Teacher showcase last Tuesday night - and needless to say, I left feeling ridiculously inspired. My friend, George, said I was 'high on circus'. That seems to be the best way to describe it! If you ever have the opportunity to check out a showcase, or see the Detroit Circus perform, I can't recommend it enough! 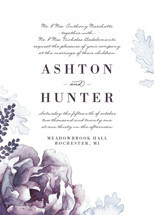 I also had the pleasure of creating this hand-lettered design for the event. The opportunity to combine two of my favorite things - design + circus arts? Priceless! Thank you to Micha and the Detroit Flyhouse for the opportunity! !